What happened instead, you may ask? I’m glad you asked, because I’ll tell you: some economic anxiety, a little poverty—ask me sometime about the year when my net income was zero—a big dog bite (I’ll show you the scar if you ask), and a little depression, and that last one might have been connected more or less to all the earlier things in the list. From the perspective of publication, the last four years might look a little fallow. Five stories have been published, no books, and nothing at the moment lined up for publication. It’s easy to get discouraged. But then, I try to change my perspective and end up thinking, hey, not so fast. What have I written in the past four years? Three novels. Eighteen short stories. This newsletter, more or less faithfully for the past couple years. I haven’t counted up the words, but it’s a lot. And this is the part of the writing journey that I have the most control over: how much I produce. Whether it gets published is not. 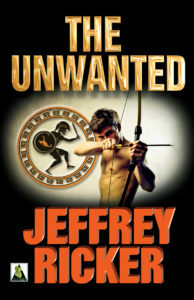 On Sunday, the fourth anniversary of the official publication date of The Unwanted, I got another rejection letter. It was a form rejection, so I filed it away and updated the spreadsheet where I keep track of what’s out on submission. That same story is already at three other magazines, and there are three more lined up that I can send it to. I’ve got a number of short stories in progress, and I’m still doggedly revising a novel. These are the things I can control. It’s easy for me to get tangled up in the comparison game, too. To see my friends doing so much great work, getting stories and novels published, and then looking at my own somewhat meager list of publications by comparison, it’s easy to lose sight of the fact that I wrote two novels and got them out into the world, and did the same thing with over two dozen stories and essays. So what if it took me a little longer? So what if I haven’t gotten as much as someone else. And so what if someone hasn’t published as much as me? Unless we get hit by a bus tomorrow, there’s still time.